June 15, 2017; Norristown, PA, USA; Bill Cosby arrives at the Montgomery County Courthouse. Andrew Wyatt, the right-hand man of disgraced comedian Bill Cosby, is back in the news with an update from state prison. Wyatt told NBC10 in a bizarre interview that inside his Montgomery County cell, Cosby is "mentally strong" and "despite the circumstances, this is an amazing experience." Incredibly, Cosby and Wyatt are still maintaining his innocence. “He’s not sad. He’s not remorseful because he did nothing wrong," Wyatt said. 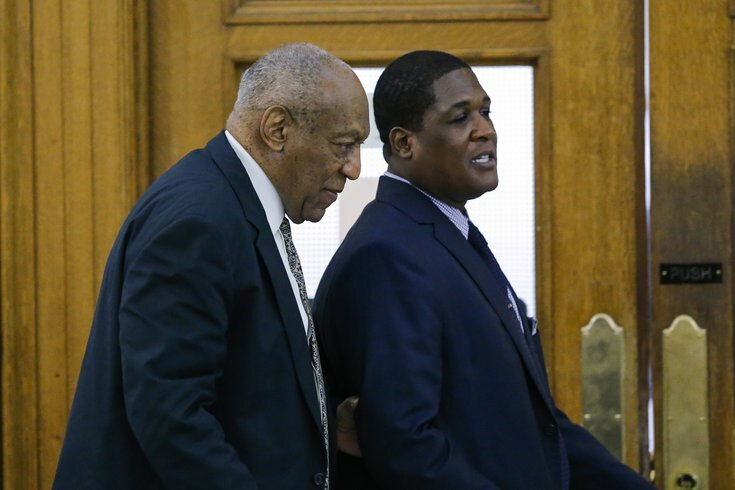 Cosby, 81, was sentenced in September 2018 to three to 10 years in state prison for drugging and assaulting former Temple University employee Andrea Constand in his home outside Philadelphia in 2004. Wyatt also said that Cosby's wife, Camille, and his children have not visited him since he's been behind bars — allegedly because Cosby doesn't want them to see him there. His only visitors have been his attorneys and Wyatt. "He looks really amazing," he said. Apparently Cosby has lost weight, quit drinking coffee (not sure why anyone cares about that), and exercises regularly. Wyatt went on to describe Cosby's entire morning schedule (again, not sure why anyone cares) and that Cosby has been washing his food with water in a little cup three times to "drain it of all the sodium" before he eats it. Cosby's lawyers are currently in the midst of the appeals process — one that could take as long as a year. The appeal rests on 11 errors the defense claims were made by Montgomery County Common Pleas Judge Steve T. O'Neill during the trial.